Many farmers have long endorsed the practice of planting buffer zones to separate farm fields from waterways. But now that Gov. Mark Dayton and legislators from both parties are pushing a bill to require buffers, some farm groups are objecting. Buffers can be grasses, trees or shrubs. They drink up some of the pollutants — like nitrates from fertilizer — that wash off farm fields and end up in waterways. They also help keep stream banks and riverbanks in place. It's not a new concept, and Steve Woods of the Freshwater Society has proof. Inside a '90s-era document sporting vintage computer graphics on its cover are some of the same recommendations state lawmakers are considering today. "At that time they were talking about 50-foot setbacks," Woods said. "This is well-established physical science." Dayton first proposed requiring 50-foot buffers on all streams and rivers in the state back in January. His main argument then was adding pheasant habitat, but administration officials now say it's about water quality. DNR Commissioner Tom Landwehr said requiring buffers is only part of the solution. "The water quality challenge is huge in this state," he said. "There is no single silver bullet, and we will have to work as hard as we can over the next 20 years just to make marginal improvements." That the governor and members of both parties are pushing a law requiring buffers is significant, say those who have advocated buffers for years. It's galvanized members of conservation groups like the Izaak Walton League of America. Don Arnosti, who represents the group, called it "one of the strongest initiatives that could be in the broadest public interest in pursuit of clean water." The bill would require buffers in place by September 2016. Current law mandates buffers along about 36 percent of the waterways in the state, according to a state agency analysis, so the change would be significant. Republican Rep. Denny McNamara, who chairs the House Environment and Natural Resources Policy and Finance Committee, said it faces an uphill battle at the Legislature. "The governor has laid out an extremely, extremely aggressive plan," he said. "It's realistically next to impossible as it's laid out, but Rep. [Paul] Torkelson has been willing to take on what seems to be next to impossible in its entirety and hopefully can come up with something that may begin to work." Torkelson, the Republican House sponsor, has yet to convince both the Minnesota Farmers Union and Minnesota Farm Bureau. High grain prices in recent years have given farmers an incentive to plant as many acres as possible. Prices have come down, but money is still a consideration. Thom Peterson testified Tuesday on behalf of the farmers union before the House environment committee. "The major concern is the 50-foot. Farmers see that as a taking. They're being told to do something different with that land, and that is a concern," he said. But some of the DFL supporters of the bill argued there are costs associated with not requiring the buffers. Studies by the Minnesota Pollution Control Agency show widespread pollution in the state's waters, and at least some of that can be traced to farming. "I have to at least ask the question for those millions of other people who want clean water and swimmable water, etc. : Suppose all of those other people consider it a taking of the clean water that belongs to everyone, if one segment is allowed unrestricted ability to pollute the water?" said Rep. Alice Hausman of St. Paul. Details have yet to be worked out, such as how much it will cost to implement and enforce the buffer requirement. Minnesota has already spent millions trying to clean up lakes, streams and rivers, but those who manage the money say we won't see significant progress without policy changes. Agriculture Commissioner Dave Frederickson said he feels torn. "I feel I'm torn between two lovers: lovers of the environment and lovers of agriculture," he said. "We all want abundant and affordable food supply and we all want clean water." But Frederickson said the evidence that buffers improve water quality is overwhelming and that Minnesota, home of the Mississippi River headwaters, should send a message to other states that Minnesota is serious about cleaning up. 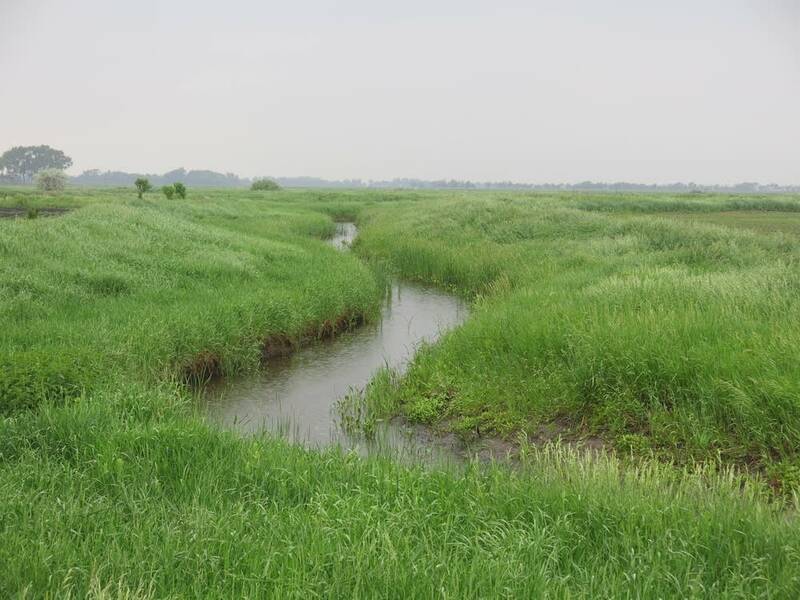 Last year, the Environmental Working Group criticized state officials for not enforcing existing buffer rules in southern Minnesota. Craig Cox, the group's senior vice president for agriculture and natural resources, applauded the legislation, saying it is unique among the big agriculture states. 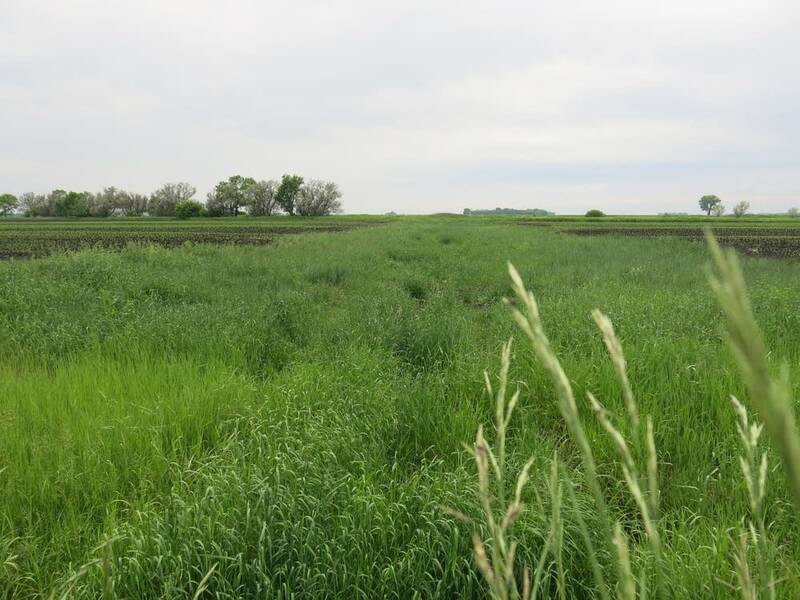 For a stream a mile long, Cox said, the legislation would require only about 6 acres of buffers on each side, having a minimal impact on the total acres dedicated to row crops. "The beauty of it is that it's not a big burden, yet the benefits to water and habitat are huge," he said.